HCMC People’s Committee has prompted relevant agencies to complete procedures to soon implement northeast gateway expansion project to handle permanent traffic congestion in the area. The project covering the area from Hang Xanh roundabout to Xo Viet Nghe Tinh, Ung Van Khiem, Dinh Bo Linh and Nguyen Xi streets in Binh Thanh district has been discussed for the last 16 years but it has still been on paper. Traffic congestion has been worse in the area, especially in Xo Viet Nghe Tinh street, Highway 13 and Dinh Bo Linh street through Mien Dong coach station with thousands of vehicles traveling in these one way streets inch by inch during rush hours every day. The worst traffic jam has been occurring surrounding Mien Dong coach station because of high vehicle density and narrow surrounding streets. Talking about reasons for traffic jam in the area, HCMC Transport Department said that tens of thousands of vehicles to and from Mien Dong station travel in these streets every day. Adding to the woes, many households have encroached pavements to do business worsening traffic chaos. Xo Viet Nghe Tinh street from Hang Xanh roundabout to Martyrs Monument crossroads has not been broadened for the last many years. Thousands of vehicles from the center of the city travelling through Hang Xanh roundabout to reach Binh Trieu bridge has made the area look like a disorder parking lot. 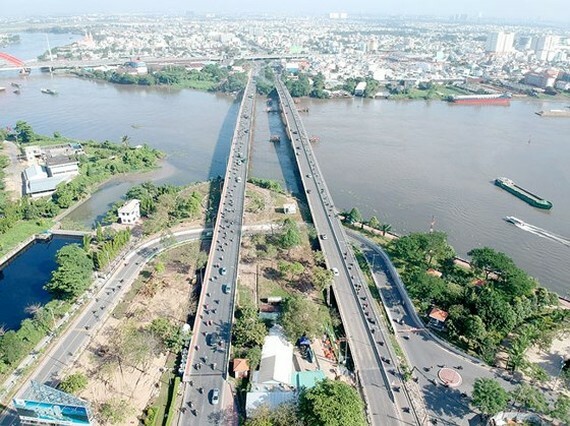 According to assessed plan, the northeast expansion project will comprise three sub projects including construction of Ong Dau bridge in Thu Duc district, building of Martyrs Monument crossroads near Mien Dong coach station in Binh Thanh and upgrading and expansion of Ung Van Khiem street in Binh Thanh. Of these, the crossroads is the biggest one. In addition, there will be a 450 meter long and nine meter wide tunnel for vehicles from Xo Viet Nghe Tinh street to Highway 13. A 200 meter long stretch of Chu Van An street will be broadened to 23 meters wide while 1.7 kilometers of Ung Van Khiem street from the crossroads to Saigon Newport will be enlarged to 30 meters with six lanes. New Ong Dau bridge will be built adjacent to the old one. 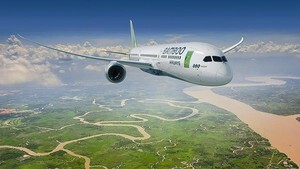 Total capital for the three above projects will top VND2,293 billion including VND1,364 billion for site clearance. Binh Thanh district said that 533 households will be affected with 436 to see parts of their properties cleared and 97 completely cleared houses. The district is now awaiting for the city to approve compensation levels for them. Talking about the progress of implementing the project, director general of HCMC Infrastructure Investment Joint Stock Company (CII) Le Quoc Binh said that Binh Thanh district has submitted site clearance and compensation plan in the Martyrs Monument roundabout, Ung Van Khiem street and the area from the crossroads to Saigon bridge. The company will immediately start construction if there is premise. Mr. Binh said that it is unclear about the time to restart Highway 13 expansion project, part of Binh Trieu 2 bridge project, because the city budget has not been arranged for site clearance and compensation. Binh Trieu 2 bridge has been built and put into operation but expansion of the bridge’s approach roads and construction of some intersections have got stuck for the last many years because of many reasons. HCMC Transport Department said that when the second phase of Binh Trieu Bridge project is done, traffic jam in Xo Viet Nghe Tinh will be solved. Moreover, Mien Dong coach station will be removed to District 9 in the upcoming time. So traffic jam will no longer occured as present.